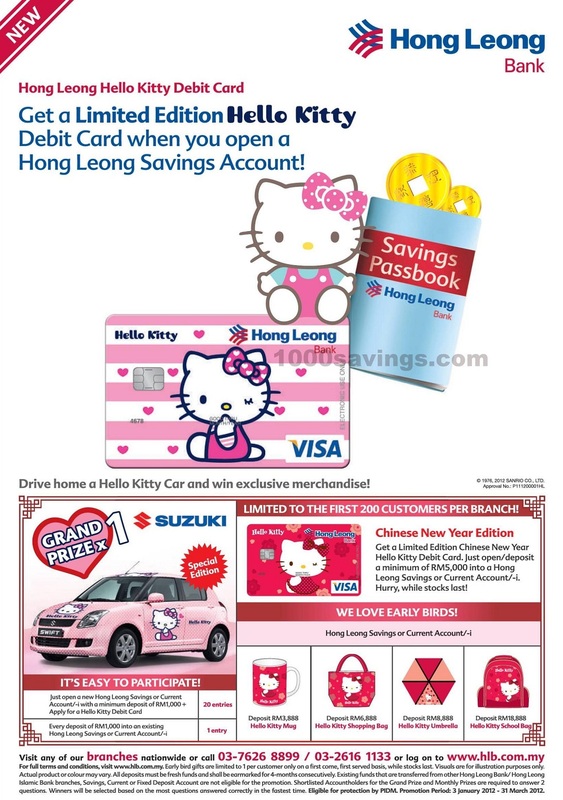 Get a limited Edition Hello Kitty Debit Card with a Hong Leong Savings Account! 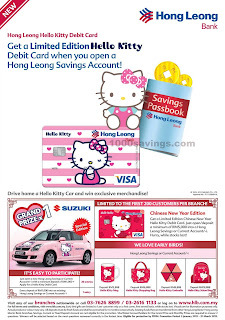 Get a limited Edition Hello Kitty Debit Card when you open a Hong Leong Savings Account! 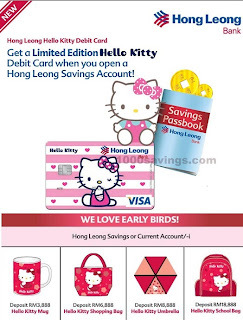 What's more, for Hong Leong Savings or Current Account/-i early birds depositors, you get Hello Kitty merchandise too when you deposit money into these accounts! Just open/deposit a minimum of RM5,000 into a Hong Leong Savings or Current Account/-i. * limited to the first 200 customers per branch! Find out how you can drive home a Hello Kitty Car and win exclusive merchandise here!